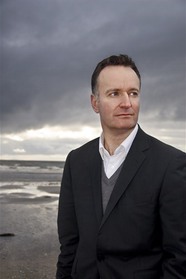 Andrew O’Hagan is one of Britain’s most exciting and serious contemporary writers. He has twice been short-listed for the Man Booker Prize. He was voted one of Granta’s Best of Young British Novelists in 2003. He has won the Los Angeles Times Book Award and the E. M. Forster Award from the American Academy of Arts and Letters. He is the author of Our Fathers, Be Near Me, The Illuminations, among other books. He lives in London.